Well, I’m so excited to share about THOMAS SABO’s new Generation Charm Club and Spring Summer 2018 Collection plus their latest online store. So let’s start with the Generation Charm Club, I love its versatility, expressive and sophisticated yet traversing all generations. This collection sparkles with around 260 restyled, high quality Charm designs in 925 Sterling silver, on trend 18k yellow gold plating and classic natural materials. There are endless possibilities for us to play mix and match, restyle our own jewellery to match our personality, mood and occasions. With their different sizes and structures, these new Charms are perfectly suited to modern layering styles. With cool vintage stylistics, extra-large Charms, seductive single earrings as well as a wealth of different carriers, including necklaces, bracelets and hinged hoops, surprise with a completely new feeling when worn. I’ve got some of the charms, including this latest 18k yellow gold platted charm necklace, lovely isn’t it. However there are still many rooms for me to add my charm collection, oh well I have spotted a few for myself and also some for my mom too. All of them are so cool, so hard to resist! Oh ya! 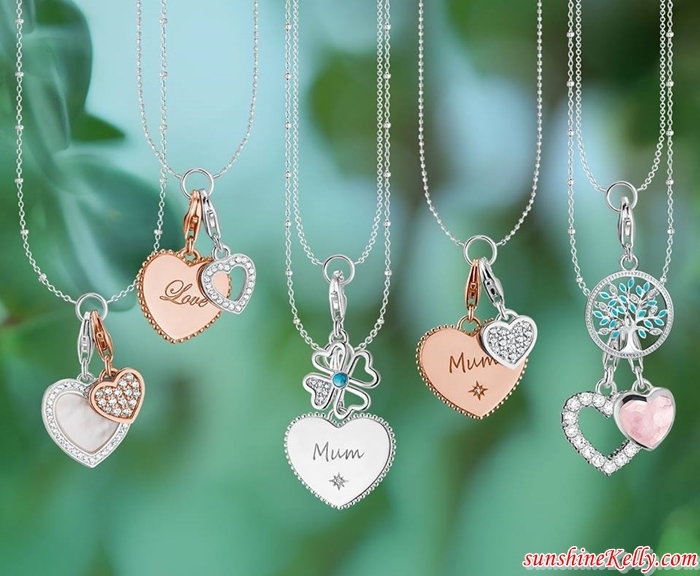 If you are looking for Mother’s Day gifts or something for yourself or your loved ones do head over to THOMAS SABO new online store here https://thomassabo.my/ to check out their latest collections. 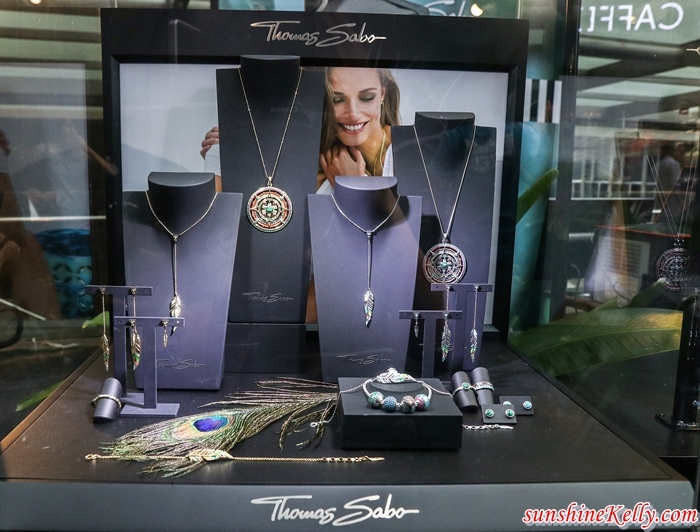 As for THOMAS SABO Spring Summer 2018 Collection is focusing on the iconic design language of the Sterling Silver Collection with vivid colours, elaborately designed and cultural diversity. From artistic, tropically mythical motifs through to edgy wearable hinged hoops, as new style codes of the season plus 18k yellow gold plating is the new en-vogue precious metal of the season. Highlight the contrast between the dark green of the jungle, the colours of the animals and plants and sparkling light reflections in masterfully crafted jewellery creations. The parrot and the sunstone amulet sparkle with their vibrant colours, Aztec-inspired patterns and filigree decoration. In addition, long necklaces with swinging feathers as well as rings, earrings and bracelets. The THOMAS SABO Snake fascinates for the first time as a ring, pendant, bangle or single earring in a green and turquoise look. The Mediterranean attitude towards life is reflected in the Riviera Colours series. 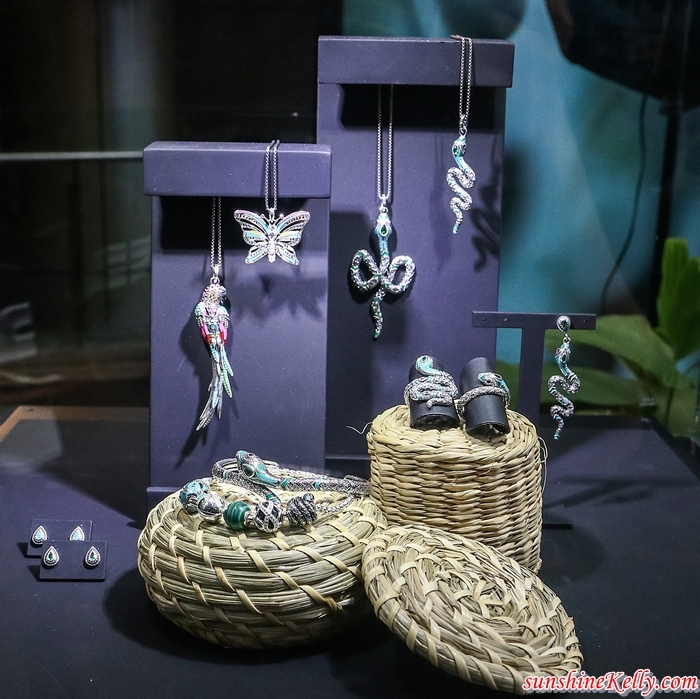 Its casual Boho style appears in filigree-classic bracelets, ear studs, necklaces and rings, in which turquoise-coloured, red and green stones casually coalesce. The long and short necklaces really come into their own in the en-vogue layer look. To complement this fun-loving design, the starfish in the Ocean Stars series is experiencing a revival and, especially as a statement ring in an extraordinary starfish shape, becomes a truly maritime eye-catcher. As an antithesis to the Avant-Garde series, the urban inspired Classic Silver series inspires with its reduced minimalism. En-vogue jewellery for the ear is in focus. With hinged hoops with various pendants and sizes to draw attention to the ear with your own creations. The Rebel at heart line impresses with the Pyramid Studs series. Cross pendants and bangles with rock’n’roll rivet look will from now on supplement the expressive THOMAS SABO design language. Chokers and bracelets for which handcut, classic stones and Sterling silver. beautiful charm there. heard about Thomas Sabo. Not cheap thou but long lasting. those who love charm perhaps this would be their choice. The necklace so beautiful! I don't have any necklace since I'm wearing scarf so i feels I don't need one but after scrolling all their collection I fall in love.i need one ! All the charms are looking beautiful, exotic and very inviting. And that necklace you were wearing, so beautiful and looking regal too.